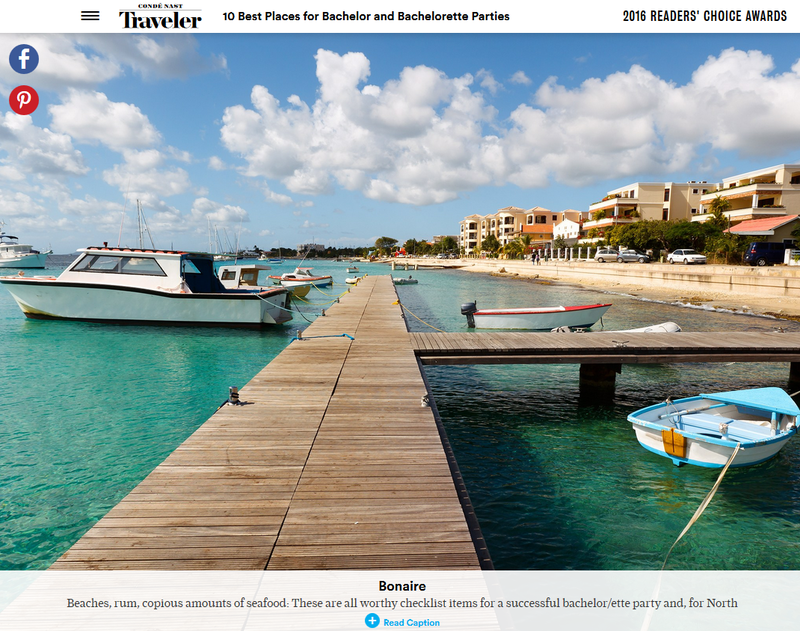 Entitled “10 Best Places for Bachelor and Bachelorette Parties,” Bonaire is listed as one of the top 10 places in the world to host a bachelor bachelorette party. The articles showcases Bonaire as being the ideal Caribbean destination as it offers the spirit of the Caribbean without the clamor of more frequented islands. To read this article click here. Bonaire is featured in the June 2016 issue of Montecristo magazine. Entitled “Bonaire: Fine Diving, Fine Dining,” Kent’s article highlights Bonaire as being known as the shore diving capital of the Caribbean, but is also emerging into a culinary paradise. To read this article click here. Entitled “Bonaire, A Nature lover’s Dream,” the article highlights Bonaire’s nature and wildlife including birdwatching in Washington Slagbaai National Park, snorkeling with sea turtles and flamingo sightseeing at Goto Meer. To read this article click here. Entitled “7 Reasons Why Bonaire Should Be on Your Bucket List,” Bonaire is featured in the June 3 online edition of TravelPulse. 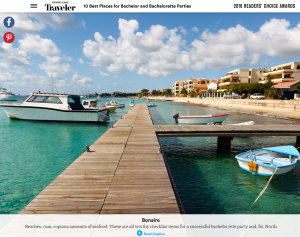 The article highlights Bonaire’s beaches, scenery, new Courtyard Marriott and located outside the hurricane belt as just some of the reasons why Bonaire should be at the top of travelers bucket lists. To read this article click here. United’s Sunday non-stop flight from Newark to Bonaire is featured in the June 15 issue of Caribbean Journal. The article highlights that this is United’s second non-stop flight out of Newark, and is accompanied by images of the island. To read this article click here.